Fat LossAmix Lipotropic Fat Burner - 100 kaps. 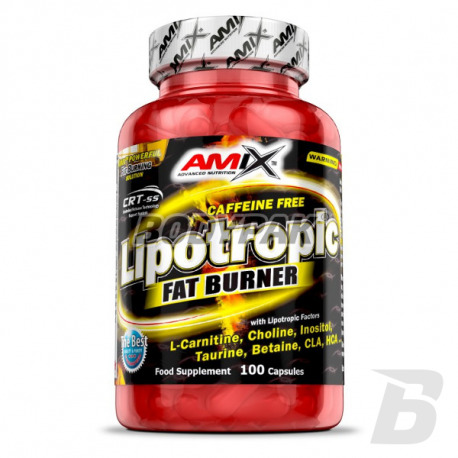 Amix Lipotropic Fat Burner - 100 kaps. The original fat burner based on 9 key substances that will help you in losing excess weight faster than other similar products. In addition, thanks to suplementowi feel a boost of energy to training, making weight loss will be even faster. 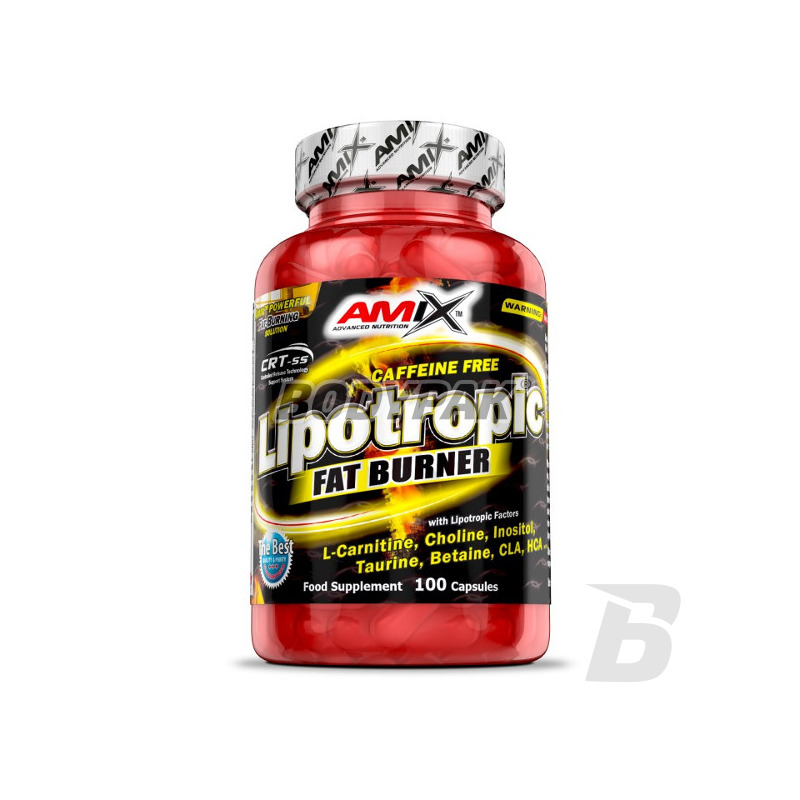 AmixTM Lipotropic Fat Burner contains 9 key ingredients to help you lose weight fast without any harmful ingredients. It contains L-Carnitine, Choline, Inositol, Betaine, Methionine, Taurine, CLA, HCA and Vitamin B6. Take 5 capsules daily preferably approx. 30-60 minutes before physical performance. Wash down with plenty of water. Faktycznie zwiększoną termogenezę czuć po zażyciu już pierwszej porcji. Co do efektów to będe mógł się wypowiedzieć po dłuższym czasie stosowania. Niedługo po porcji czuć zwiększoną termogenezę (po prostu robi się gorąco) - znaczy działa jak powinien. Kupię kolejną puszkę jak będzie na stanie. The product supports Szubka and safe fat loss! With the addition of high-quality extracts of green coffee supports the immune system and accelerates the metabolism (it is on a natural source of caffeine). Bet on the efficacy and safety! A comprehensive preparation supporting rapid and lasting weight loss. The main role in the composition of fully-l-carnitine, coenzyme Q10 and vitamins B conditioning the normal course of metabolism! Despite its effectiveness does not cause yo-yo effect!